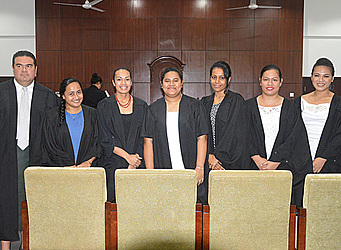 The Ministry of Justice and Courts Administration welcomed five new lawyers yesterday, after they were admitted to the bar before the Chief Justice, His Honour Patu Tiava’asue Falefatu Sapolu. The new lawyers are: Angeline Seiuli, Elizabeth Tagi, Faalau Iupati Lagaaia, Luaipou Ann Matalasi and Terina Eirenei Sefo. They were presented to the bar by the Attorney General, Lemalu Herman Retzlaff. 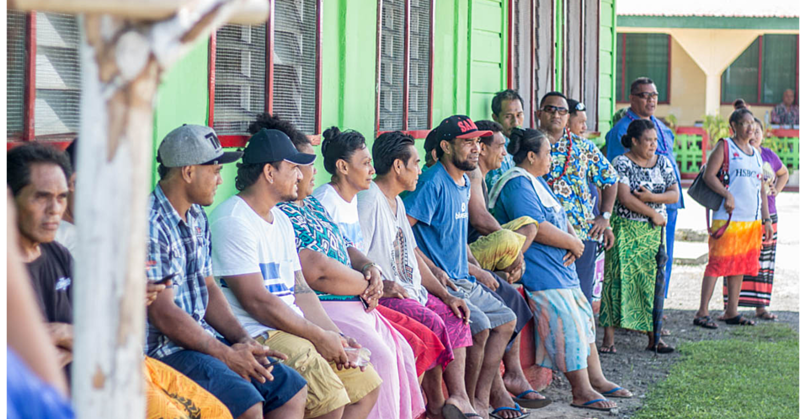 “Today marks both an end and a beginning,” said His Honour Patu, “it is the end of four years or so and the dedicated study of the Vanuatu law school and one year of practical training at the same time today is the beginning of your career as a lawyer. 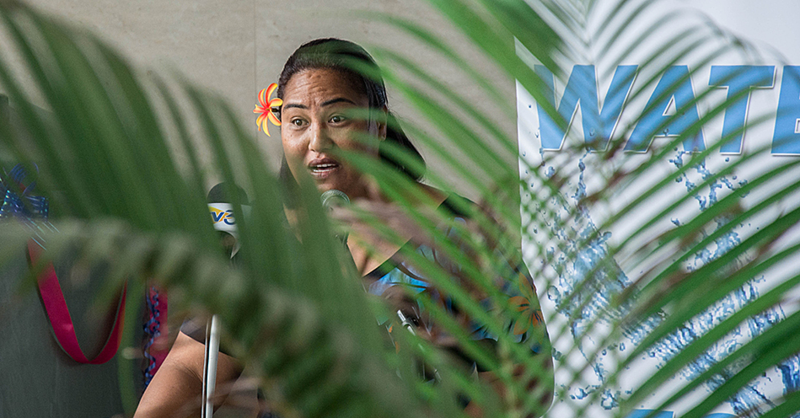 Chief Justice Patu said the realities of the job could be daunting but it could also be rewarding. “It is never boring because no court cases are exactly the same. In fact life at the bar can be quite interesting, stimulating and rewarding. “Not only that but they will also find at the bar that no lawyer ever wins every case in which he or she appears as counsel. But take comfort, the lawyers were told, Rome was not built in a day. “I do not expect you to become top quality lawyers after your admission to the bar,” he said. Lastly, the Chief Justice congratulated the parents, family members and colleagues who were present for their support. The new lawyers are graduates from Vanuatu Law School. They will all be working at the Attorney General’s Office.